There are a number of methods for deriving the Decanal Holy Days for the Goetia; however, there is little consensus on the question of whether or not the Goetic Demons may be accurately assigned to the Zodiacal Decans at all. In the following list, you will find the Decanal Holy Days as recorded in several manuscripts, especially the Book of the Black Serpent. In thac consists of 30 degrees. These are divided into three ten-degree units known as Decanates or Decans. These Decans are further broken down into five-degree units known as Quinances. Thus there are six Demons per sign beginning with 0° Aries. Although the Hermetic Order of the Golden Dawn were not Demonolators, they had a marked interest, or determination, in finding a way to adequately assign all of the Goetic Demons to the 36 Zodiacal Decans. These Decans are “ruled” by specific planets. Many people find astrological nuances to be rather tedious and difficult to understand, but it may be simplified. As we have already explored, in astrology, Zodiacal Decans are determined by degrees within the sign. Each sign consists of 30 degrees and these are divided up into ten degree increments, the Decanal units. The first Decan of any sign is called the Ascendant Decan and encompasses 0° to 10° of that sign. The second Decan is called the Succedent Decan and encompasses 11° to 20° of that sign. The third and last Decan of a sign encompasses 21° to 30° of that sign and is called the Cadent Decan. In the traditional assignment of planetary rulers to Zodiacal Decans, the system has consisted of beginning with 0° Aries and assigning the Ascendant Decan of that sign to Mars, the Succedent Decan to the Sun and the Cadent Decan to Venus. Moving onto the next sign, Taurus, the system assigns the Ascendant Decan of that sign to Mercury, the Succedent Decan to the Moon and Cadent Decan to Saturn. This cycle concludes with the seventh planet, Jupiter, being assigned to the Ascendant Decan of the next sign, Gemini. Thus, beginning at the Ascendant Decan of Aries and revolving through all of the Decans of the remaining signs, we have a cycle of planetary rulership which consists of Mars, the Sun, Venus, Mercury, the Moon, Saturn and Jupiter. The very last Decan of Pisces concludes with Mars, which is repeated again as the first Decan of Aries and so on. In the Golden Dawn’s system, however, the sequence of planetary rulership changes. Here the first Decan of any sign is ruled by the planet which presides over that sign—for example, since Mars is the ruling planet of Aries, Mars is the ruling planet of the first Decan of Aries. For the Succedent and Cadent Decans of a sign, the Golden Dawn’s system assigns the ruling planets of the remaining two Zodiac signs within the Elemental category. For instance, since Mars is a Fire sign and the other two Fire signs within the Zodiac are Leo and Sagittarius, the Golden Dawn’s method will assign the Sun (Leo’s planetary ruler) to the Succedent Decan of Aries and Jupiter (Sagittarius’ planetary ruler) to the Cadent Decan of Aries. The Golden Dawn’s Decanal system begins with 0° Leo as opposed to the traditional starting point of 0° Aries. However, it should be said that the Golden Dawn’s reasoning for its allocation of specific Goetic Demons to these Decans is sketchy at best. Because each Demon carries a rank, sometimes multiple ranks, and because each rank is associated with a particular planet, we end up with the planetary associations of specific Decans completely contradicting the planetary associations of the Demons assigned to them by the Golden Dawn. Additionally, the Golden Dawn assigns two Demons to each Decan—one ruling the hours of the day and one ruling the hours of the night. Such Zodiacal intricacies can be confounding at times and it is not especially important to rely on any method of Decanal planetary assignments when determining the Holy Days for Demons. There is much controversy surrounding the validity of such Decanal assignments and is therefore indicative of the scepticism some retain when discussions of Goetic Decanal categorisations are in order. Although I prefer the Golden Dawn’s Decanal allocations, I would suggest simply using your own discretion when considering the Goetic Holy Days. You may find something altogether different which works for you. However, for the purposes of this section, I have included the Golden Dawn’s Decanal assignment of the Goetia and the corresponding dates. You may notice the similarity between the names Göap and Gaap. This is often a confusing issue for Demonologists and there is no true certainty as to whether or not this is the same Demon or simply a coincidence. It is rather unlikely that Göap is the same Demon as Gaap—for instance, the Grimoires often make use of different spelling for each, even though the two names are quite similar. Even more confusing is the tendency for other sources to name Paimon as an alternate name for Göap and, similarly, Amaimon as an alternate name of Zimimay. For myself, I avoid the confusion and adhere to the names given in The Lesser Key of Solomon and which are listed above in bold. These Four Great Kings are also present in Hebraic lore, instead assuming the names of Samael (Göap), Azazel (Amaymon), Azael (Corson) and Mahazael (Zimimay). Of course, there is always controversy as to whether or not this equation with the Hebrew Demon Princes is accurate, but I personally believe that the names are interchangeable. These Four Great Kings, along with other high-ranking Demons found within The Lesser Key of Solomon such as Asmodeus and Astaroth, are also mentioned in the famous Grimoire, The Sacred Magic of Abramelin the Mage. In this resource, we discover numerous other spirits presided over by these Demons. 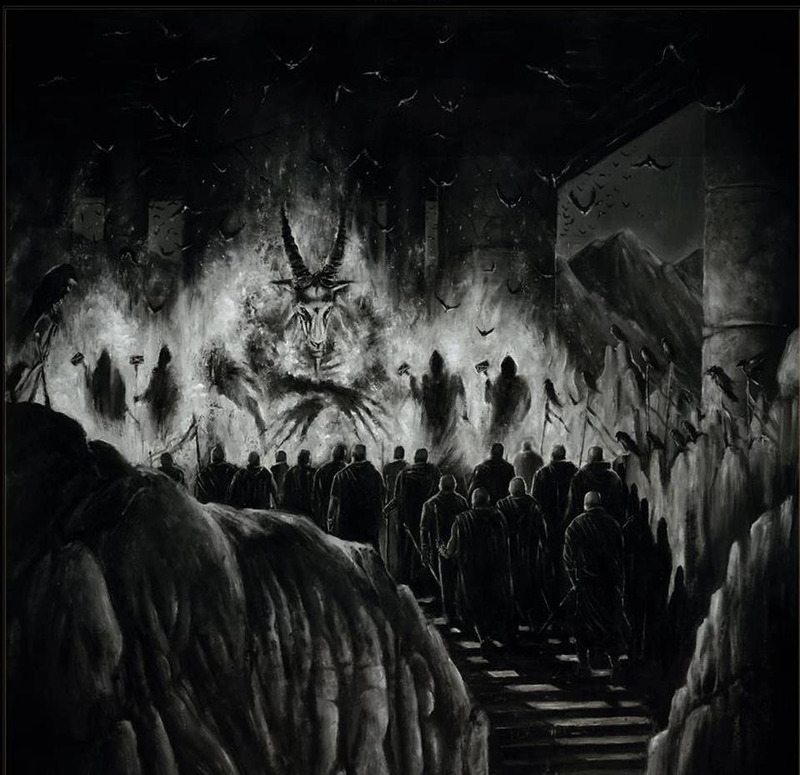 Abramelin also includes the four Demon Princes of Lucifer, Satan, Leviathan and Belial and assigns one of the Four Great Kings as a sub-prince of each. There is little doubt that these Kings hold a position of great importance within Demonic hierarchies, as is also indicated by Their presence in other texts. We are not told, however, over which of the 72 Goetic Demons these Four Great Kings preside—instead, we are given the directions which They rule and are essentially left to speculate. It makes some sense, then, to attempt to assign the Elemental King to all of the Demons with whom He shares an Elemental Nature. For example, because Göap rules the South, traditionally attributed to the Element of Fire (in the Northern Hemisphere), we can assume that He presides over all Demons of a Fiery Nature. The problem then evolves into the issue of assigning each of the 72 Demons to a particular Element. Because there is so much confusion as to the actual significance of the ranks of the Demons, it is extremely difficult to come to a verifiable conclusion as to the validity of using the classical planetary rulerships of the individual ranks as guides when determining a particular Demon’s Elemental Nature. As I mentioned previously, many of the Demons, by Their descriptions, have Natures which seemingly contradict Their assigned planetary rulers. A good example is the Demon Focalor. Focalor’s classical description, paraphrased, is that He “kills men by drowning them...sinks war ships...has power over storms of the sea”. One’s initial impression of Focalor’s Nature is, therefore, that it is quite clearly Watery, stormy and unpredictable. Because of this, it would make sense to connect Him with the Element of Water, but possibly also with the Element of Air (storms and wind) and, additionally, the Zodiac sign of Aquarius (an air sign, ruled by the planet Saturn). It makes little sense, then, that Focalor’s historical planetary assignment is Venus. How could this be? Because Focalor’s rank is that of Duke and because all Dukes are assigned to the planet Venus, He is thus considered to be a Venusian Demon. As I have already mentioned, this confounding tendency for the classical planetary assignments to the Goetic Demons to completely contradict Their Natures renders constructing workable systems of Elemental classification nearly impossible. For this reason, I recommend looking at each Demon and Its description individually and determining Its Elemental Nature through this means. When I am inclined to classify a Demon by its planetary rulership, I prefer to use the Golden Dawn’s Decanal allotment system to determine a specific Demon’s planetary association. Others will find alternate methods. It is completely up to the practitioner and what makes sense to him or her. Once you have undertaken the task of categorising the Demons by Elemental Nature, you may be interested in determining corresponding Holy Days based on Element. Some Demonolators use the traditional “Wheel of the Year” model to construct a usable calendar of Holy Days which is compatible with the four Elements. An example would be the traditional Yule, which is often associated with the Element of Earth. During the observance of traditional Yule in the Northern Hemisphere, a Demonolator may choose to honour Zimimay, King of the North and all of the Earth Demons. For the Southern Hemisphere, a Demonolator may choose to honour Göap, King of the South and all of the Earth Demons. Because of the flexibility of Elemental and planetary correspondences, it is incredibly simple to construct your own calendar of Demonic Holy Days.